I look forward to reading your email and will respond as soon as possible. Film Investors do exist! Find out where they are and exactly what they want to hear from you. Movie Cents brings you information on Film Financing news, Film Making Tips, Monthly Specials, Film Contests and Prizes, Film Investors and our Independent Film of the Month. Subscribe free and receive a Business Plan Checklist as our gift. Many free film tools and samples exist across the internet and here is a great starter list for the Independent Filmmaker. Indie film distributors look for one thing only when they evaluate Indie Films - "Will this film be profitable for us?" Our 15 minute program provides you the basics on How to Make a Movie. We've condensed the nuts and bolts for you and provided some of the best material on how to make your first film. Welcome to the Independent Film Discussion Forum for your Film Making questions, Movie Making Tips, Film Investors, Film Grants, Equipment Discussions, Financing Questions and Film Services. Online Film School is one of the easiest and least expensive ways to learn the basics of film making. As a film maker, you have numerous education options. Make sure to get the Online Film School facts. Learn how to write a business plan, the definition of a business plan and creative ways to finance your film. 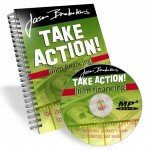 Pair this Manual with our Financial Template and Business Plan Template for the ultimate Movie Making package. Show film investors why they should fund your movie with our Financial Template. Analyze your film, movie production costs and add financials directly into your Business Plan for Independent Film. Our Business Plan Template is fully formatted with eight chapters and twenty three pages of sample text. Easily use this business plan example and customize it to your project. The huge advantage to film grants is you do not have to reimburse the funds, unlike investors, who require their money back, plus a return on their investment. Join our Independent Film Showcase and develop an online presence for your film in a few minutes - for FREE!!! Show the world your Independent Film and impress potential investors with more than just your logline. 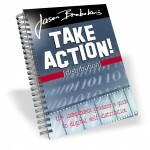 See FilmProposals top picks for Business Plan Books for Film. Film Funding and Financing, Low Budget, Business Plans and Budgets. See the best books on the market today, written by leading experts. FilmProposals top picks for the best Film Websites and Resources to help you find Investors for your Independent Movie, Film Financing Companies and Independent Film Funding. We want YOUR opinion of FilmProposals. What else would like to see? What did you find useful? About what topics would you like to see more information? I had no idea it was feasible to get a handle on film finance myself and was really inspired to see that I don't have to be a writer hawking scripts until I die, I could actually make the film. Subscribe to Movie Cents and receive a Business Plan Checklist.